Proper Management of Bank Accounts is an important function as far as an Accounting module is concerned. 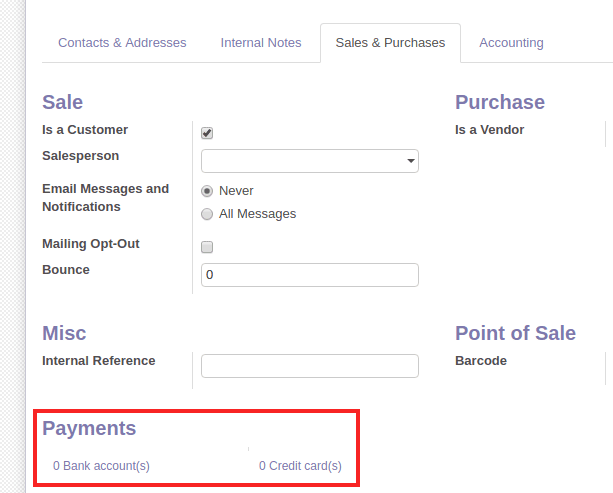 In Odoo, the user can manage the Bank Accounts and Credit card accounts very easily and efficiently. The user can Add, Update and Delete their bank account details in simple steps. 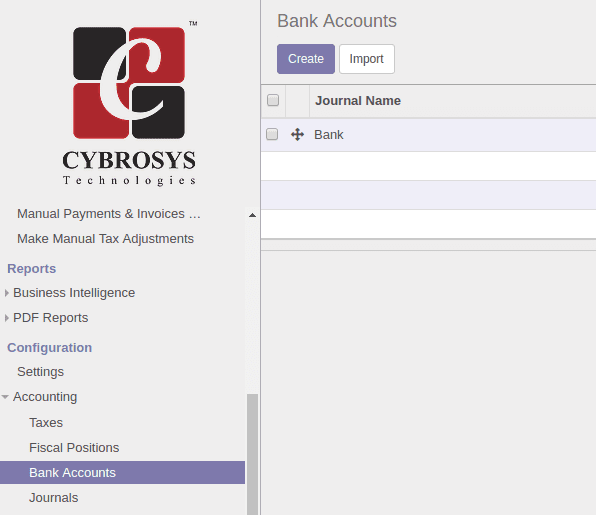 This blog will provide a step by step guide to understanding Bank account management in Odoo. Follow the menu to create a new Bank Account. Debit methods are used to specify the means of payment for collecting money. Payment methods are used to specify the means of payment for sending money. Note: If you are working in a multi-company environment, you'll have to switch the company from ‘User preference’ tab.Then only you can add, edit or delete bank accounts from another company. The user can Edit/Update any bank account information later if needed. Select the ‘Account’ you wish to edit from the list and Click ‘Edit’ button. The form will change to an editable format. (see figure). From this window, a user can edit the Account details. Once the edits are made click Save. In order to create the bank accounts or credit card accounts related to each customer, go to customers list and select the customer to which we need to add the bank account. In the customer form, under the sales and purchases tab, go to the payments section. To add a bank account of this customer, click on the Bank accounts link. It will open a new view where we can see all the bank accounts held by this customer. Use the Create button to create a new bank account for this customer. 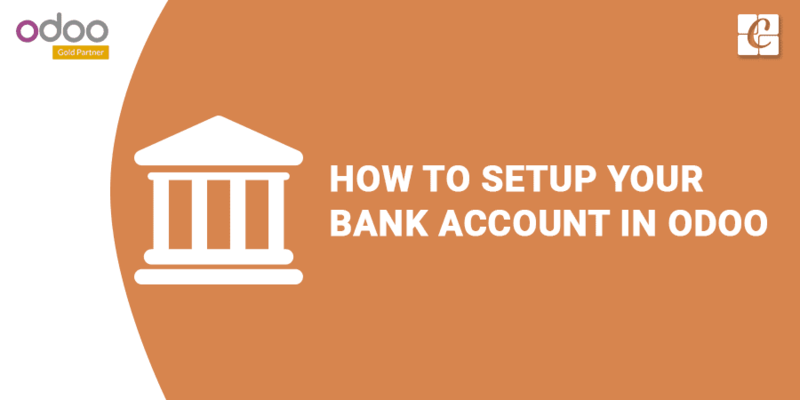 Provide the necessary details like account number, bank and click Save. Clicking on the ‘credit cards(s)’ will redirect us to the saved payment data details. Click Create to add a new one. All the payments related to this card can be seen from here by clicking on the payments button at the top right corner. To add the bank account and credit card details for suppliers, the process is same. 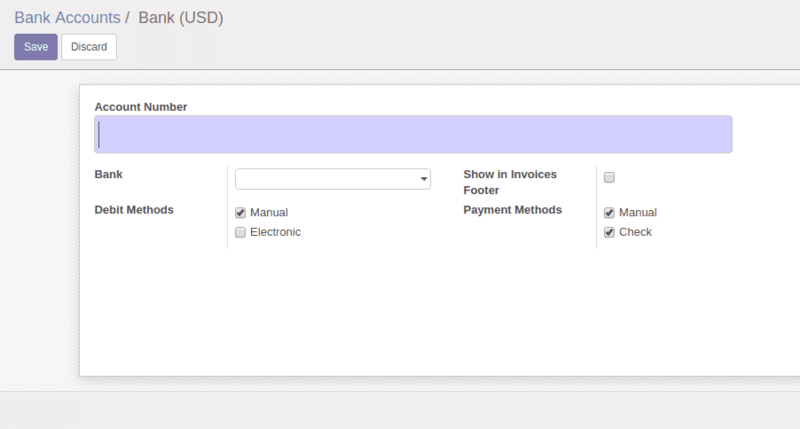 Go to the supplier’s form and under the sales and purchases tab, we can see the options to create bank accounts and credit cards.